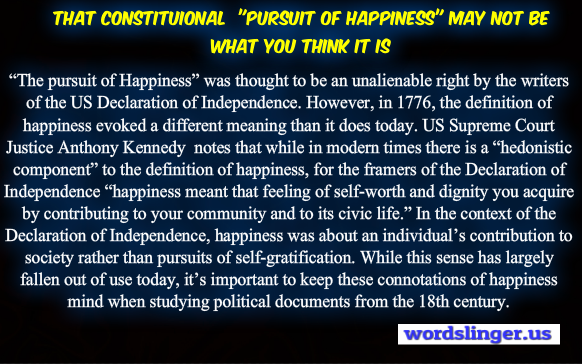 The pursuit of Happiness” was thought to be an unalienable right by the writers of the US Declaration of Independence. 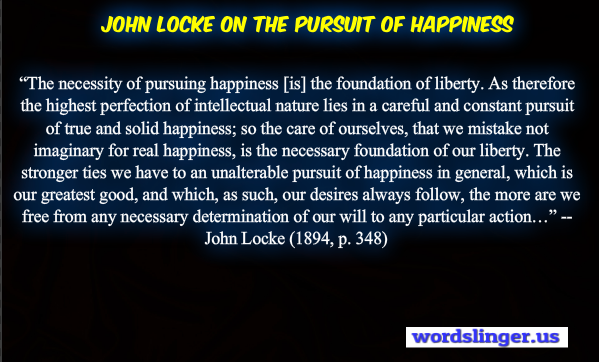 However, in 1776, the definition of happiness evoked a different meaning than it does today. 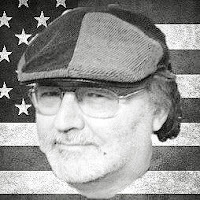 When the framers of this historic document wrote about “Life, Liberty, and the pursuit of Happiness,” what exactly did they mean by “happiness”?